If you’re in the market for a sedan with all-wheel-drive and a 300 horsepower engine, you’re spoiled for choice. There’s the constantly dueling Mitsubishi Evolution X and Subaru WRX STi, the Volvo S60 T6, Volkswagen Golf R, Ford Focus RS, BMW 340i xDrive and so on. 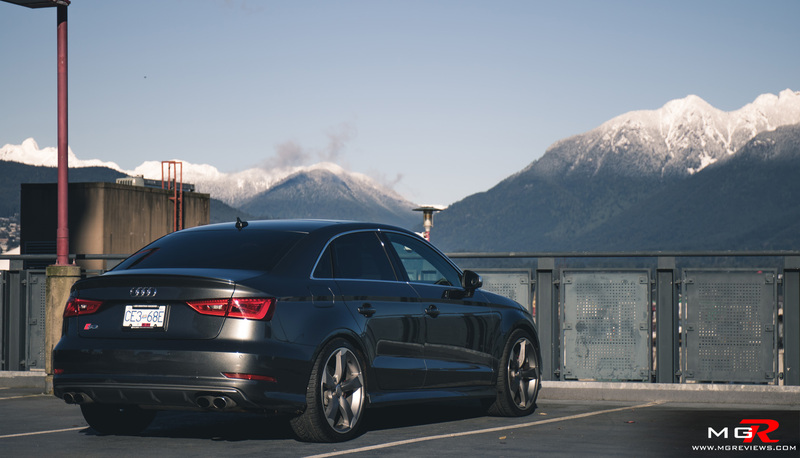 Now Audi has joined in on the action with a hot version based on their least expensive model, the A3. But how does it compare to the competition? 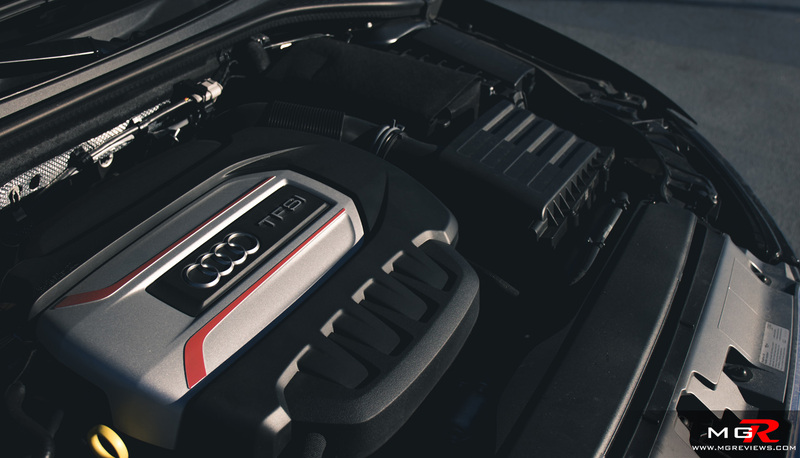 Performance – Well in terms of outright engine power, not well. 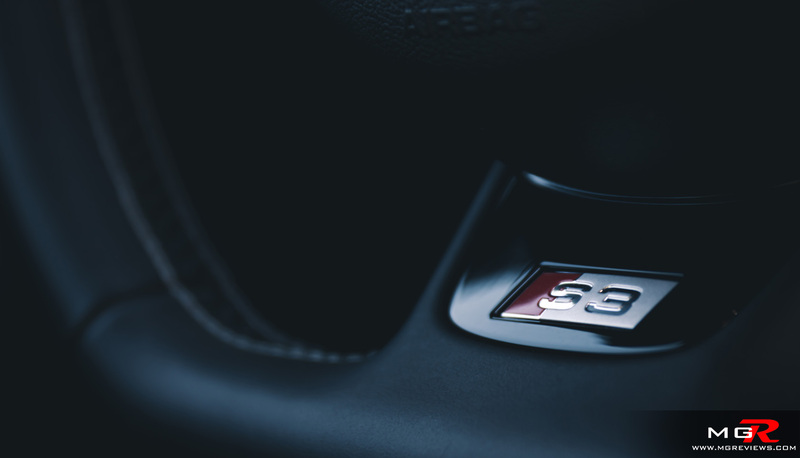 The Audi S3 is based off the Volkswagen Golf R, in fact most of its underpinnings are from the VW brand, and the engine is a 2.0L turbocharged unit that develops 292 horsepower and 280 lb-ft of torque. That may sound like enough power for a small sedan that tips the scales at 1,560 kg, but the competition is packing more potent power. Mitsubishi, Subaru, and Volvo are at the 305hp mark, BMW is hitting 320hp with an option to bump it up to 350hp just like the Focus RS. However there is a silver lining. 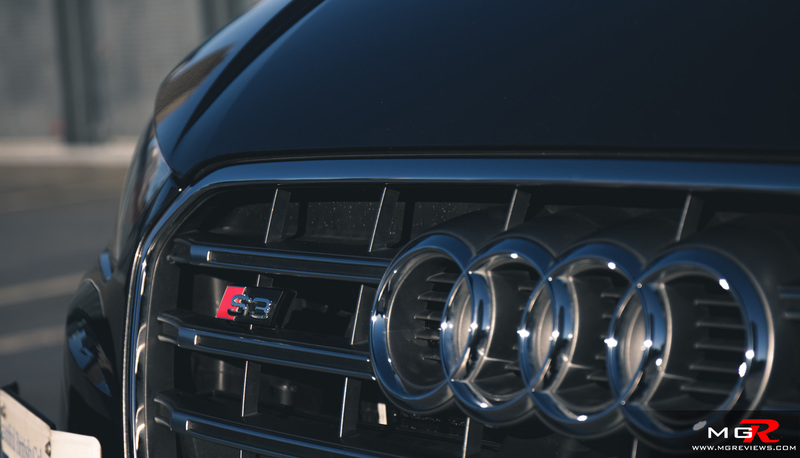 The Audi S3 feels faster than one might expect it to be. 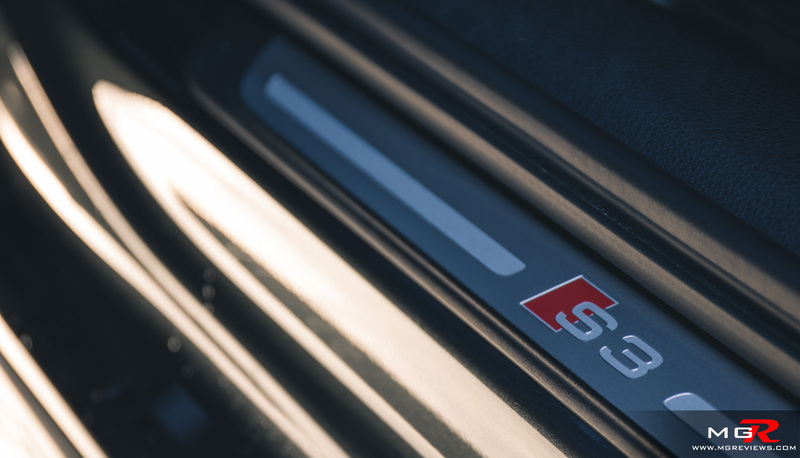 The 0-100km/h test gets finished in just 4.9 seconds according to Audi themselves but other automotive journalists have clocked the S3 at 4.7 and even 4.6 seconds. 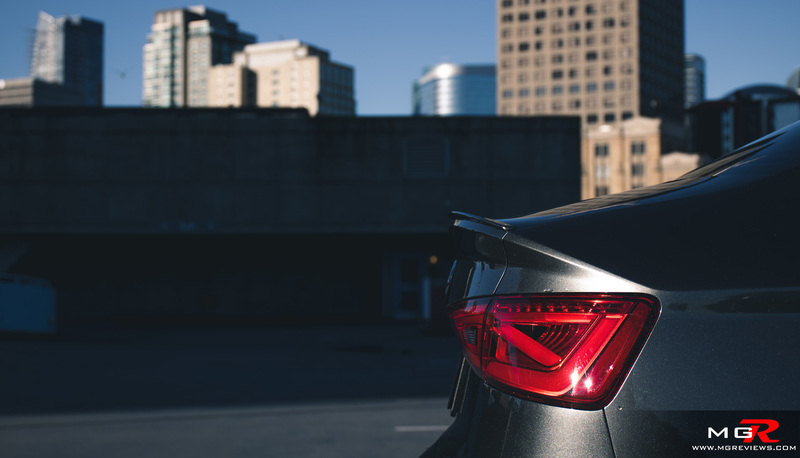 Regardless, when you’re behind the wheel, it feels fast. 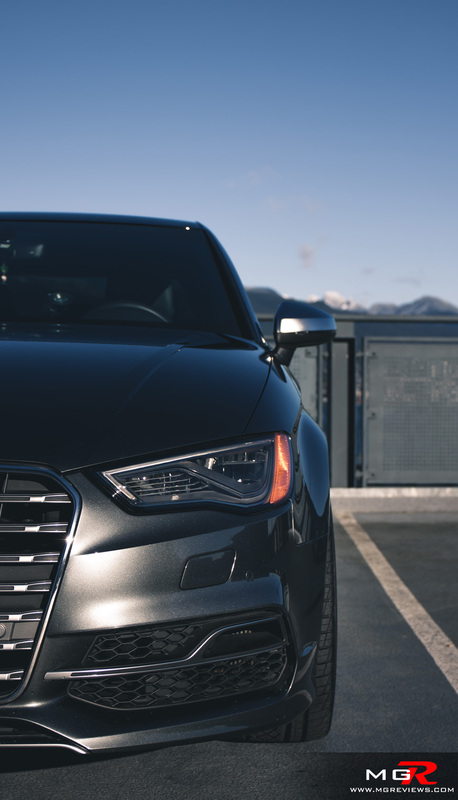 Off the line traction is abundant thanks to Quattro all-wheel-drive and shifting through the gears is taken care of by the silky smooth S-Tronic dual-clutch 6-speed transmission. 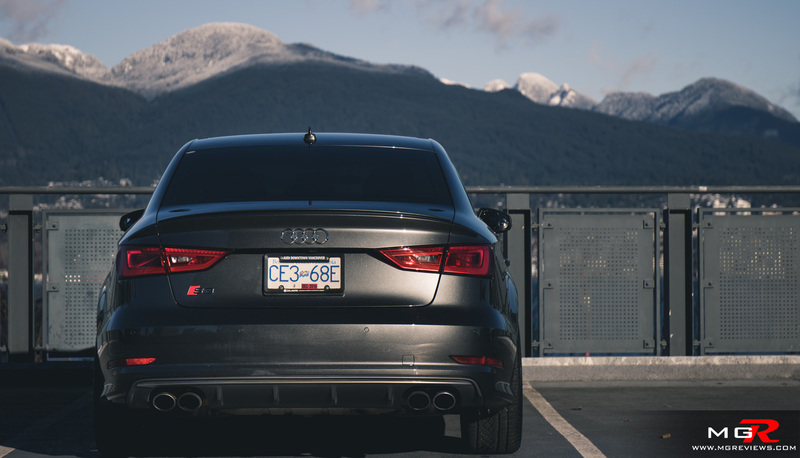 When you’re not blasting down the road in a straight line, the Audi S3 is a very competent little sedan in the twisties. The aforementioned Quattro all-wheel-drive system keeps everything in check by shuffling the power between the front and back wheels. 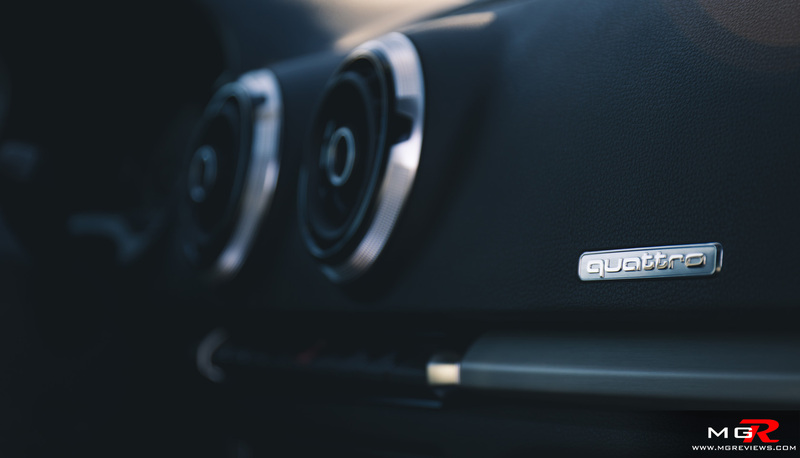 A magnetic damper control system automatically adjusts the stiffness of the shock absorbers as the car goes over bumps. Steering feel however is somewhat lacking. 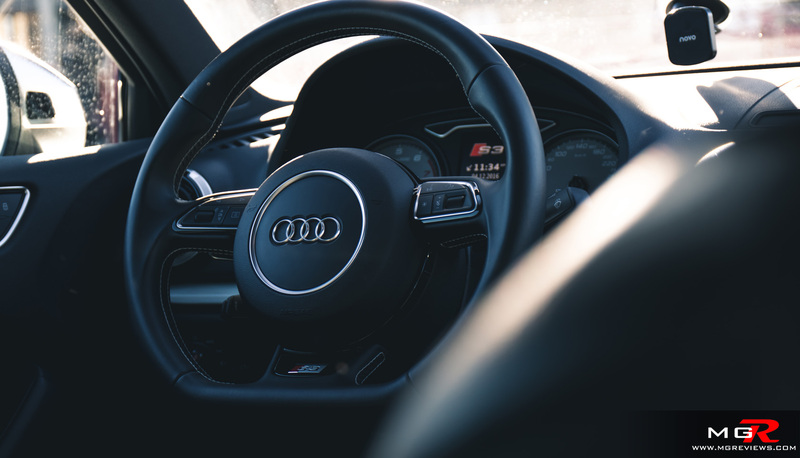 Under hard acceleration, you can feel hints of torque steer but getting a feel for the road is vague when compared with something like a BMW. Another fault with the S3 are brakes. They work very well at stopping the car but they’re like an on/off switch. It’s difficult to be smooth especially if you’re wearing thicker shoes in colder months for example. 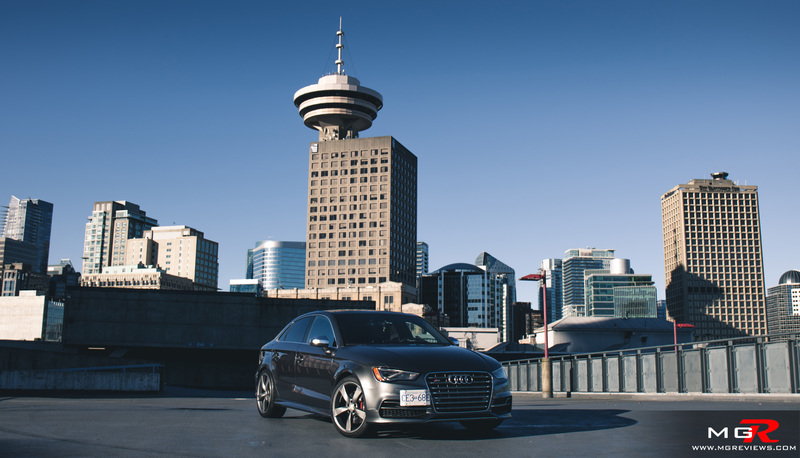 Comfort – Audi interior fit and finish has always been at the top amongst luxury auto brands. Even though this is the least expensive S-Line Audi vehicle, it feels and looks like a premium product. 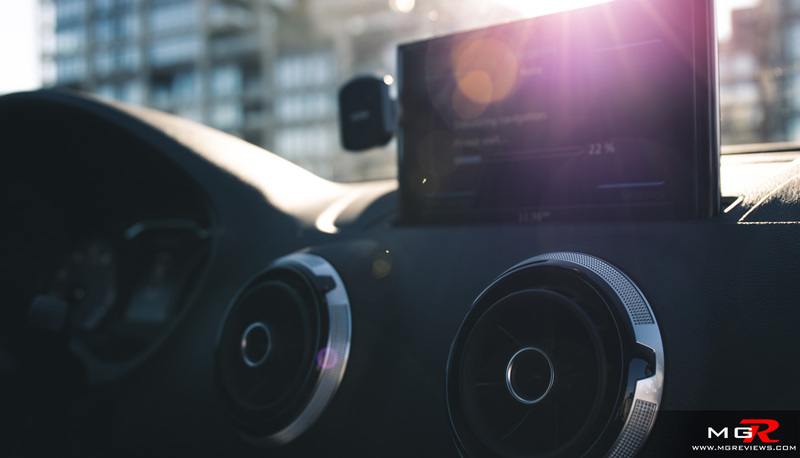 The dashboard is minimalistic in design with only a few buttons on it for the climate controls. 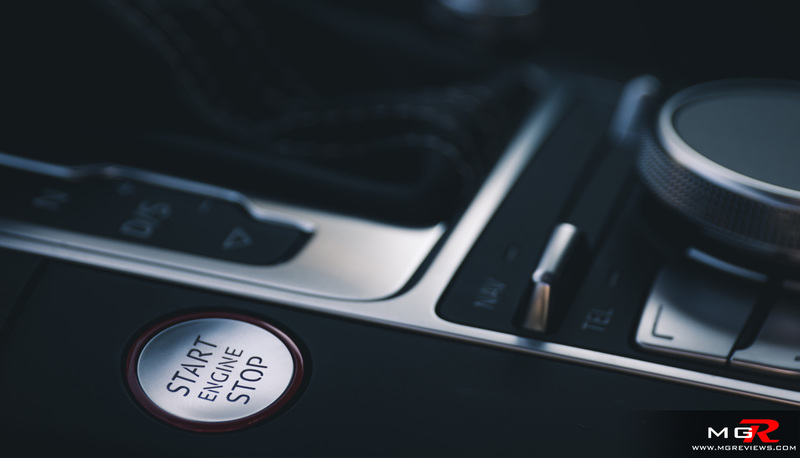 The rest of the buttons are on the center console and most of the vehicle’s features are controlled via the MMI interface. 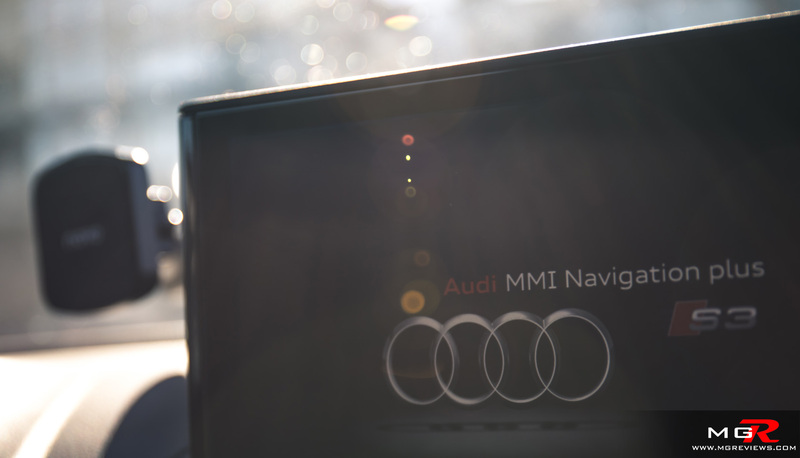 The latest version of Audi’s MMI infotainment system is a fairly intuitive system to learn and use quickly. Plus the rising screen from inside the dashboard is a nice touch that will satisfy the inner 5 year old in anyone. 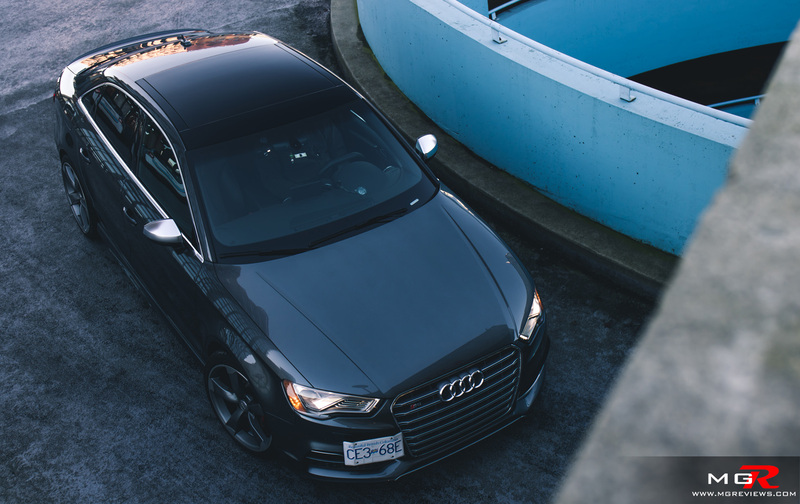 Speaking of 5 year olds, the back seats will only be able to accommodate children or very small adults because leg space and headroom are almost non-existent in the Audi S3. 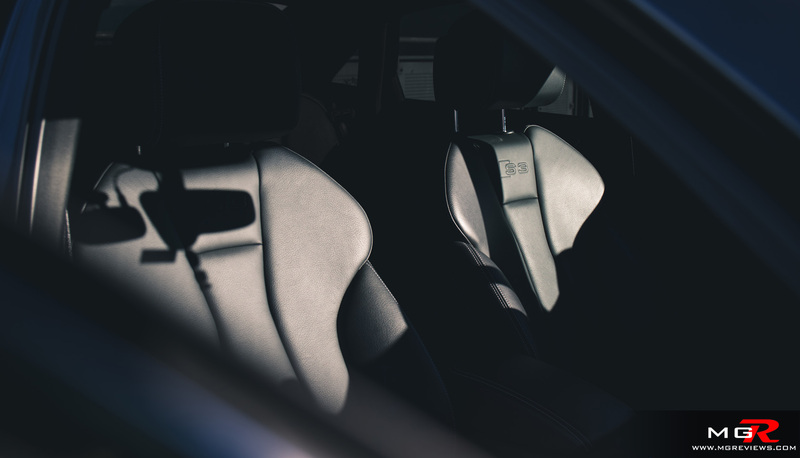 The back seats feel more like you’re sitting inside a coupe rather than a sedan. There’s also the stiff suspension that may cause discomfort for passengers. 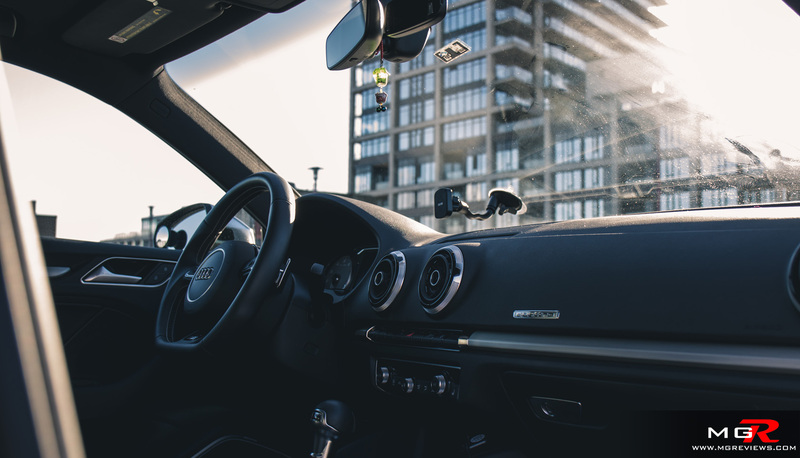 If you opt for the magnetic dampers, you can adjust the stiffness via the MMI interface. However there isn’t a huge difference between Dynamic (stiffest setting) and Comfort (softest setting). 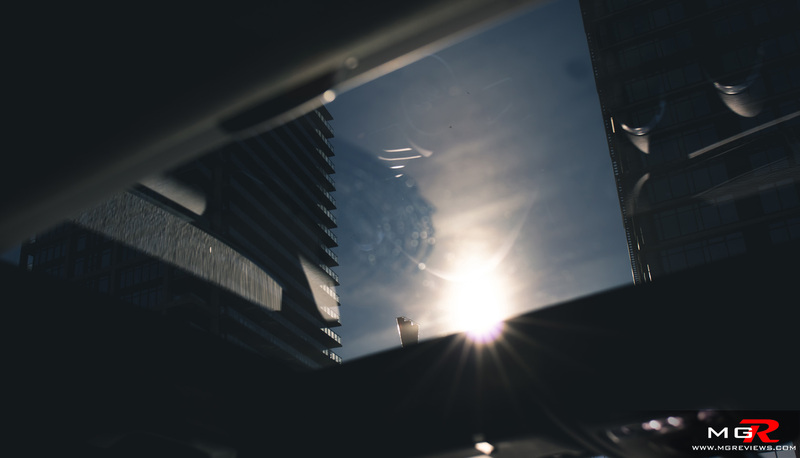 You will still be bouncing around the cabin when you’re driving on poorly maintained roads such as Water Street in Vancouver’s historic Gastown district. 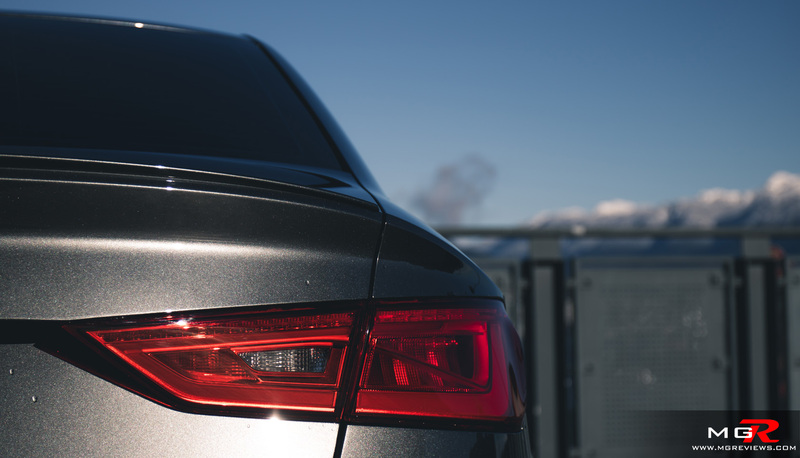 Odds and Ends – In terms of exterior looks, the Audi S3 looks like a copy of the A8 but at ⅔ the size. It doesn’t have vents in the hood or massively flared wheel arches like the old RS4. It looks simplistic and maybe even a bit boring. 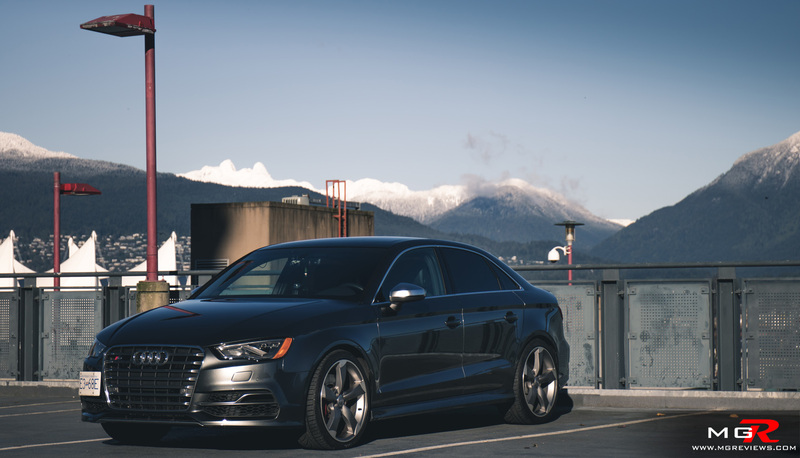 If you’re looking to draw attention to yourself, the Ford Focus RS does an excellent job at that but if you want to be incognito, the Audi S3 is a perfect fit. 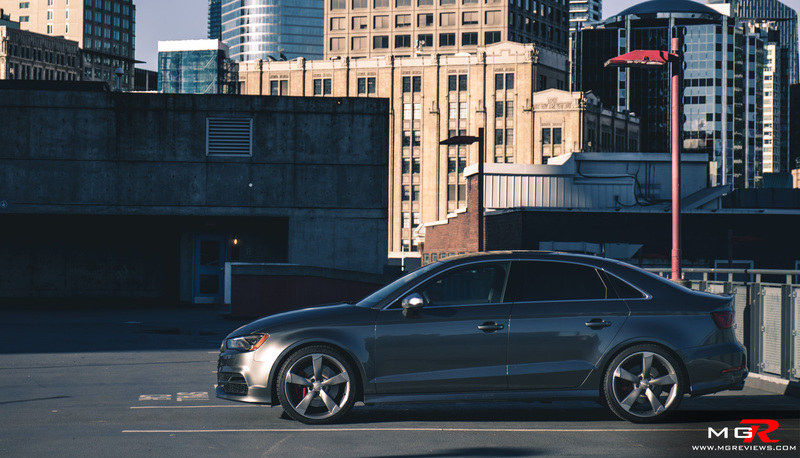 Speaking of remaining incognito, you may want to do so after you realize just how much money you’ve spent on the “least expensive” and smallest Audi model. 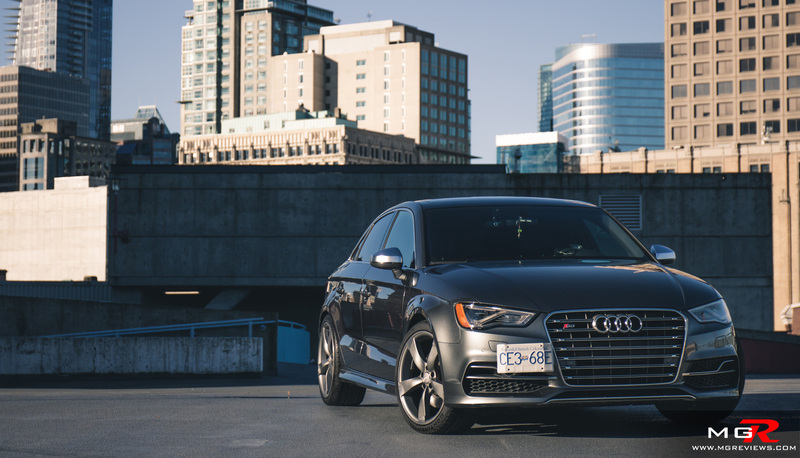 The Audi S3 starts at $46,600 CAD. 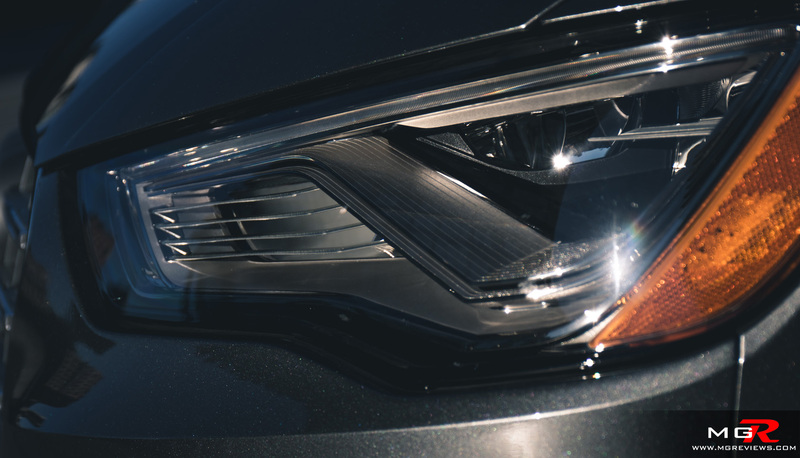 By the time you’ve added options to it, the price reaches $56,000+ CAD excluding taxes and other dealership fees. 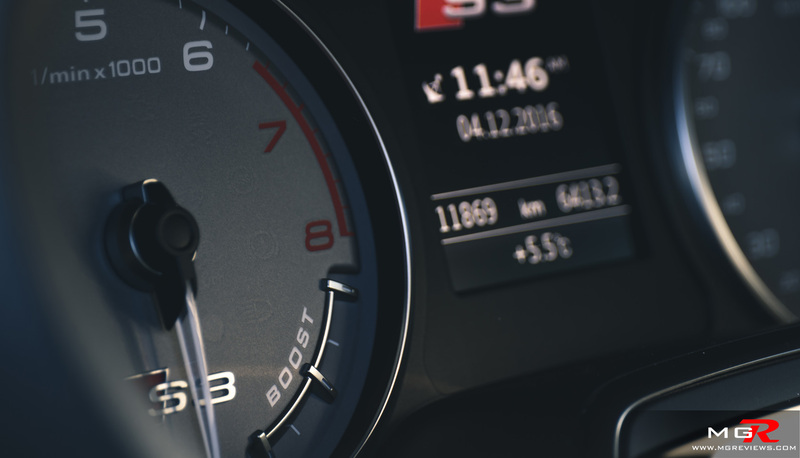 The 350hp Focus RS does have a slightly higher starting price at just over $48,000 but it has a lot more features as standard and you can’t ignore 350 horses. The only other vehicle in this category that is significantly more expensive and less equipped than the S3 is the BMW 340xi. 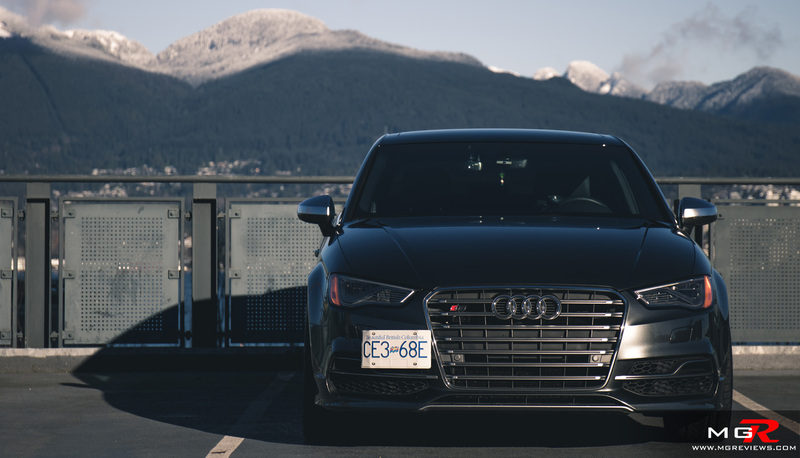 Overall the Audi S3 is a fun little car that can get you into trouble with the law but paying so much money for such a small car seems a bit ridiculous. Thank you to the owner for the opportunity to test drive and photograph the vehicle.